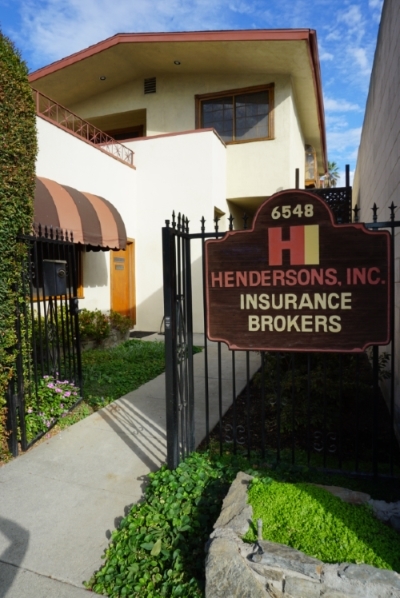 Home, Auto & Business Insurance - Hendersons, Inc.
As an independently owned and operated agency in Whittier, California we deliver insurance and risk management solutions. We’ve served individuals and businesses since 1921 and we’re dedicated to giving clients the best possible products and services. We believe in connecting with clients and in keeping everything ‘in house,’ which means that we provide all of the services clients need. We bring a small town feel to the experiences of buying and using insurance and we work with a large number of carriers to ensure that clients have the greatest possible selection of insurance choices. With a wide variety of insurance offerings, including home, auto, and life. Our business program provides coverages that can protect virtually any commercial enterprise for the right price and our specific-industry programs have coverages that are unique to different lines of work. We have an employee coverage program, and this program gives business owners the opportunities they need to secure their workforces and to run operations smoothly. Our farm program provides coverages that protect against almost any operation-related risk, and it allows farmers to run their businesses without interruption. Farming plays a large role in the economy of California so this program is important to a lot of people. Our agents have more than 100 years of collective experience and know how to make clients happy. One of the things that our agents do to make clients happy is provide services and support that instill confidence. Our agents manage risk and help clients reduce the need to use insurance. If insurance is used and claims are filed then our agents manage the claims. Also, we’re reachable whenever clients need to get hold of us, so we’re never out of touch. We would love to tell you more about our agency so please contact us or give as a call. You can request a quote if you're ready to start on a policy.